I wanted to do something good and make the world a better place. 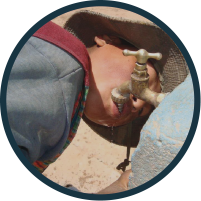 When I found out that 63.9% of the rural Bolivian population lacks access to clean water, I knew I had to help. That’s why I created a fundraiser to support Engineers in Action. 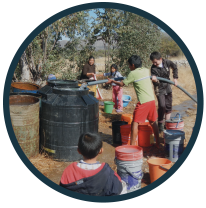 Their campaign to support our engineers’ work will provide clean water for Bolivians—and you can be a part of it. Subject Thanks for being generous! Thank you so much for your generous donation to my fundraising campaign for Engineers in Action. Because of you, we’ll be able to support our engineers’ work and provide clean water for Bolivians. You’re not only helping me to reach my fundraising goal, but you’re making a real difference for Bolivians. This is such a worthy cause and I’m proud that we’re on the same team. I’ll keep you posted on our progress. In the meantime, I recommend that you check out Engineers in Action. They’re doing great work. You’re amazing–making a difference. Thanks to all who donated to my fundraiser so far!